Entry Level: Kitchen, Laundry located just outside Kitchen, Dining and Living combined,1 Full Bath (tub/shower)serves Guest Bedroom, Guest Bedroom queen bed, Master with golf course view has King Size Bed, Walk-in Closet, and Full private bath (shower). Seeking CONTENTMENT? Look no further! 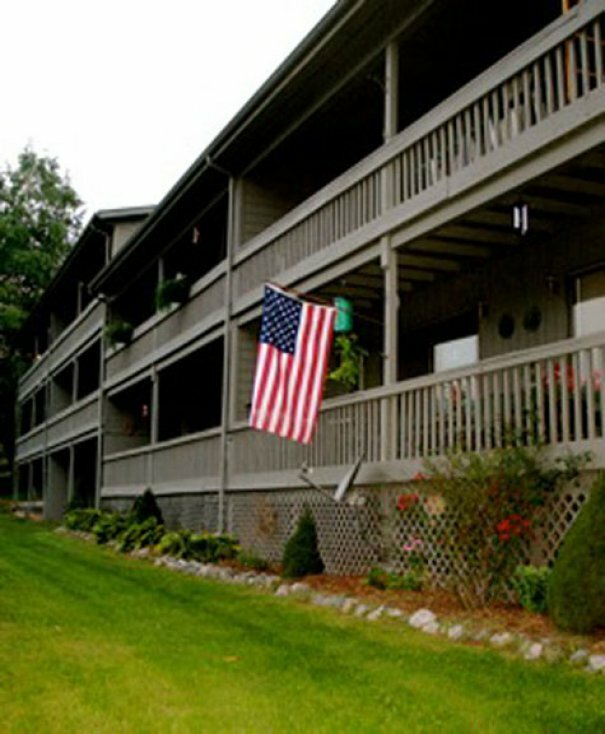 Located at Grassy Creek Golf Course, you can sit on the deck or enjoy the activities outside from the luxurious living and dining inside.Cozy gas log fireplace in the living area that can be enjoyed from the dining area too! The living area has comfortable seating. The Master Bedroom has an adjoining bath. Full view glass doors give you a view to the outside and morning sunrises. The Second Bedroom has access to the second bath off the hallway. The entire condo is elegantly decorated with your comfort in mind. Covered parking under shared carport.